ProRep Spot bulbs are an essential part of keeping many reptiles. They provide a directed beam of radiant heat to create a basking spot or warm area for a reptile to warm up. Reptiles are cold blooded and so bask to raise their body temperature. This allows them to digest food, be active and make vitamin D3 which is essential for the absorption of calcium from their food. 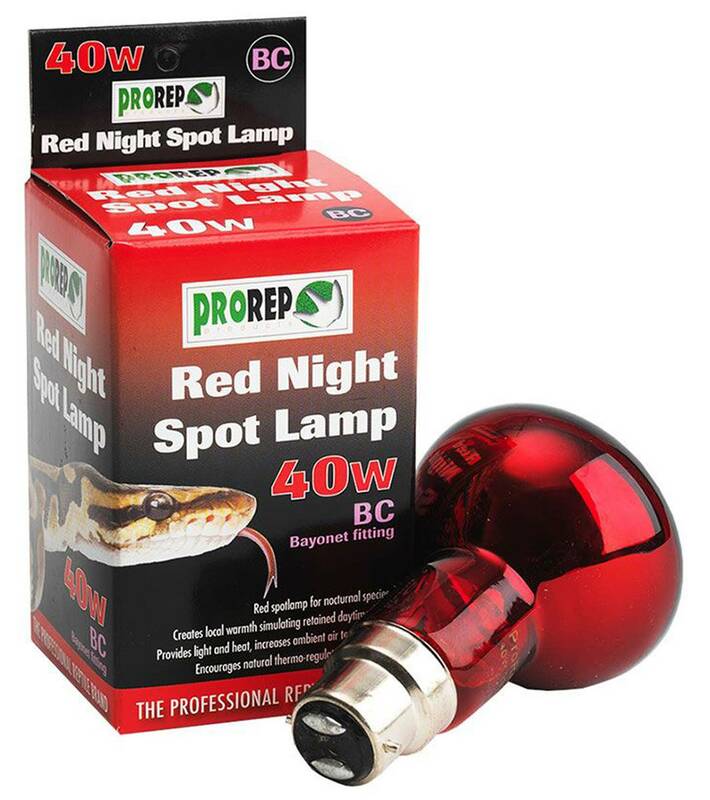 Basking zones are best created by using a simple white bulb, which creates a bright basking zone which the reptiles recognise while red bulbs can be used to provide low level light and heat during the night. ProRep spot bulbs brand use superior glue and filaments for enhanced reliability. This bulb has a standard ES fitting. Remember, incandescent light bulbs DO NOT produce any UVB, this needs to be provided by using a suitable specialist bulb. The Pro Rep basking lights come in a variety of wattage, from 40 to 100W to cater for all size enclosures.